Take a 6 week class. Class is for all levels. I will work with each student to help you better your skills and give you the information needed to do this on your own at home. Class includes a 25 lb bag of clay, tools and all the firings. 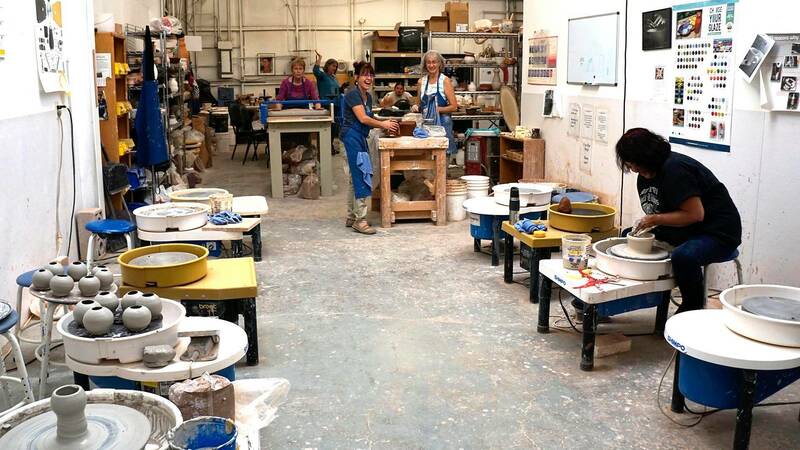 Pottery class will be a fun way to spend a few hours on a Saturday and get your mind off everything else going on at that time. Come ready to make a mess and have a blast. Tour with pinch pot and throwing demo. Make a pinch pot and enjoy a throwing demo. You Must Schedule the time in advance with the teacher. You furnish cake and drinks. This can be Painting on bisque or hand building.